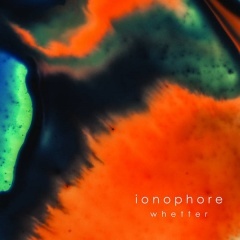 "Ionophore is the recent project of multi-instrumentalists Leila Abdul-Rauf, Jan Hendrich, and Ryan Honaker. The Bay Area based trio weave dark electronics and neoclassical soundscapes with heavy drones, seamlessly melding the orchestral strings of Honaker, the horns and voice of Abdul-Rauf, and Hendrich's electronic manipulations. The result is an entrancing sound all of their own, leaving the listener lost in a state of ethereal melancholy. 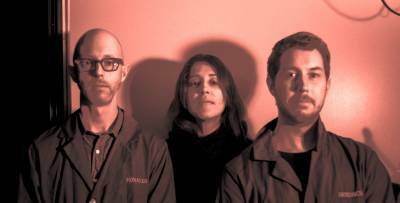 Their self-produced and -released debut Through Light Fractures, with the mastering magic of Myles Boisen (Angelo Badalamenti, John Zorn, Fred Frith), is now available on limited cassette and digital release." Leila Abdul-Rauf: Trumpet, vocals, guitar, synth. Jan Hendrich: Guitar, bass, synth, beats. Ryan Honaker: Violin, synth, beats.